September, 2012 marks my third year at Hurtigruten, the longest tenure in my career. However, I will be leaving the company on 31st August to seek new ventures. Hurtigruten is an international brand with a multi-cultural workforce. Ive learned a lot, and this blog post will highlight the most important lessons I’ve learned. In October 2010 I was asked to present to our most important partners progress made at our reservation centre. Although I am not responsible for the operations at the reservation centre, it was a chance for me to meet our partners and present in front of more than 30 people, including management. I didn’t prepare and tried to read each point slide for slide. It was embarassing and I failed. From that point on, I always made sure that with each presentation I was fully prepared. Being E-commerce Manager, I’m expected to know the current online sales status. By reporting daily to myself on the previous days/ weeks sales, I was always up to date on how well we are performing online. Reporting to myself lead to my weekly report being distributed to senior management and the weekly report is now sent to more than 45 people each Monday. I became the online sales expert. When working internationally, people are always busy at different times of the day. Karl Philip Lund introduced bi-weekly global web meetings and for more than two years they became a priority for those working in the global web team. In these meetings, we shared updates and communicated with each other – Both important when we only meet in person once per year. Having consistency ensures it becomes prioritied and communication flows a lot easier. There is no substitute for hard work and getting thing’s done. I’m fortunate as I enjoy my work but I made sure that I never became complacement. If someone wanted a job doing, I made myself available. Very few people actually do what they say they will, so it’s easy t become successful by doing what you say. Working hard helped me get to where I am today. I will continue working hard. A job description rarely includes „answering internal emails“, yet some of my colleagues at Hurtigruten receive more than 100 emails per day. This is roughly 40-50% of the work week reading and answering emails. My inbox is always at 0. I respond to emails immediately and add the task to my to-do list (to get done the same day). This could be due to my background as a customer service agent and response times but I try to answer emails within an 30 minutes, unless traveling. This improves communication and the sender knows they can reply on you. You don’t want to be the person „that never responds to emails“. Being honest in work almost sounds like a given, yet it is surprising the amount of people who do things because they are told and do a poor job instead of being honest and being candid. A prime example is that I was not comfortable working with API. By being upfront, the role was give to a colleague who was interested in API. I am much more interested in online marketing and direct online sales. This is where I excel. I don’t mean let them run wild and abuse the freedom, but there are always 101 things to get done in anytime of department. By letting your team drive activities they are interested in, results will come. A good example if a former team member being interested in video editing. The end result was videos on the Hurtigruten websites, which when tested against pages that didn’t have video, we saw a 127% increase in initiated bookings. Another example is email marketing, which was lead by a former team member Nicole Simon implementing Silverpop, which is now being used two years later. Let them run full speed ahead and you will see great results. Each morning, I read the latest news and blog posts on online marketing and conversion rate optimization. I read monthly white papers on social media marketing, success stories written on SEOmoz and attend webinars from SeeWhy. You can succeed, your business can succeed, the stories and „how to“ guides are out there. I enjoy learning new things and try new tools. Learning is fun. Jack Welch’s quote „pick a general direction and implement like hell“ is now infamous at Hurtigruten. It has been the backbone of the online success and I will carry it on wherever I go. When people hear Implement like hell, it can appear stupid or silly. It’s works – and Hurtigruten online sales is proof of this. Another famous quote Jack Welch has made is to share success stories and celebrate. When something good happens such as a record web visits day or a new high for open rates in email marketing, celebrate it and share the success. It boosts morale and is good for the team and company. Don’t be afraid to take credit for the success either. If you did something that you are proud of, celebrate it. It’s been an amazing three years and a lot of fun learning and experiencing new things. I’ll continue blogging on a new blog platform, Tribes.no. Thanks for being part of the Hurtigruten’s success and hope that you continue to implement like hell! What is more important to an online marketer; a Facebook Like or web visit? 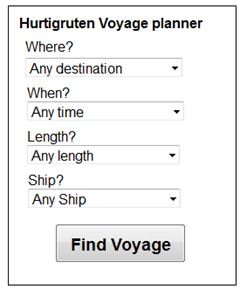 On Wednesday, 4th July Hurtigruten released a new version of our agency booking solution (B2B) and consumer booking solution (B2C). The focus for the release is to improve the booking engines to match the new web design and usability and the launch of arrival and departure packages. We now enter a development freeze due to the summer vacation period. When development resumes in late August, we will continue our focus in getting all products for sale online with port-to-port return trips, meal and upgrade handling and the option to add/ modify excursions to existing bookings. What do you think of the new improvements that have been made? Post your comments below. 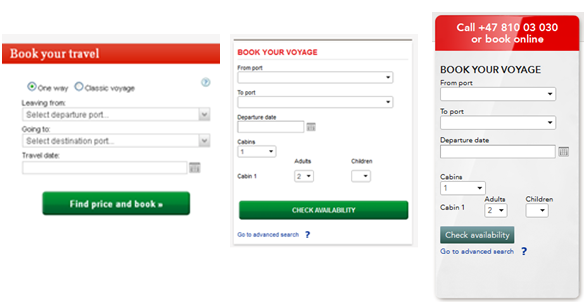 In 2011, Hurtigruten ran a full scale usability test with Spotless Interactive in the UK, Germany and Norway. The findings were presented in April 2011 and during the past 12 months we have been working hard on implementing the web improvements. On Thursday, 18th June the new design went live in Norway and today we will launch the first of our English websites with www.hurtigruten.com. The focus for the new website is to deliver a greater user experience. 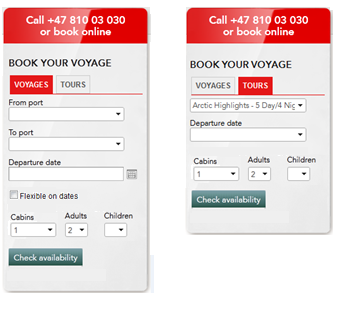 One of the biggest changes made to the Hurtigruten web is that all Hurtigruten websites will now have the same layout and structure. Websites in Germany, France and the UK will be launched during the summer. The new design is part of a three-phase improvement package based on the usability test results. The next release is scheduled for the fall with focus on presenting richer product content. A more detailed blog post on the process of changing the URL structure, redirecting old content to new content and of the website launch and impact on traffic will follow shortly. What do you think of the new website? Feel free to submit feedback and suggestions in the comments box below. On Thursday 21st June, we released a new version of our agent booking solution (B2B) and our consumer booking solution (B2C). The focus for the release was to improve the online experience for our travel partners by making it easy to book as well the launch of our European Explorer packages. The next release is scheduled for the end of June (less than one week away) and new features are to include arrival/ departure packages, advanced Google Analytics tracking and a modify booking functionality for B2B users. Translating your website has never been easier; whether you need your entire website translated or just a simple sentence there are now thousands of companies waiting to do business with you. The translation industry is a multi-billion dollar business and while 70% of Internet users do not speak English, limiting your language selection means limiting your online sales. This blog post will review three ways to translate your website using human translation. A number of companies I’ve worked with manage translation inhouse where both sales and marketing teams share the workload and support website and email translation. Although this is the cheapest alternative, maintaining consistency is highly difficult as several copy writers are involved and with a combination of various writing styles, this could result in a lackluster final product. Tip: Have dedicated translators to provide translation support for each language to keep content consistent. If your marketing director allocates budget for translation, outsourcing translation is a great way to relieve the workload of your internally staff. However, depending on the number of languages you support, outsourcing can be costly and you will always need to internally proof-read and sign off before you publish the content. Tip: Keep a glossary of key terms that be used repeatidly for maximum translation accuracy. Translation API might be a new concept but it has all the benefits of inhouse translation and outsourcing. By integrating with your CMS (Content management system), translation API can help launch products globally automatically and without the increased costs of translation agencies. TIP: Make sure you sign-off content before it goes live to ensure 100% translation context accuracy. The map provides further insight as to where web traffic comes from. 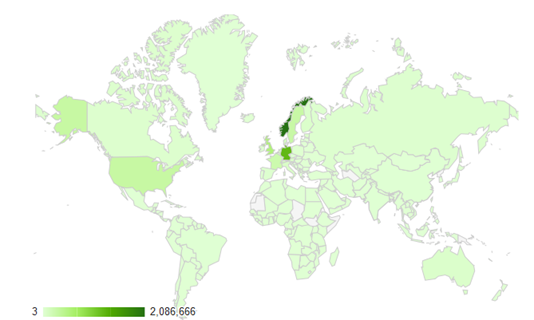 In fact, in 2011 only a small number of countries did not visit the Hurtigruten global web at least once. These contries include North Korea, Mauritania, Chad, South Sudan, Somalia and Papau New Guinea. Hurtigruten now has more than 21 websites in 15 languages. The majority of traffic came from our bigger markets; Norway, Sweden, Germany, UK and the US but as travel and tourism in Scandinavia continues to grow, the number of foreigners longing to visit will increase and being able to support their preferred language will be a huge competitive advantage. This data is also evident for web traffic to Hurtigruten and visits from emerging markets continues to increase. 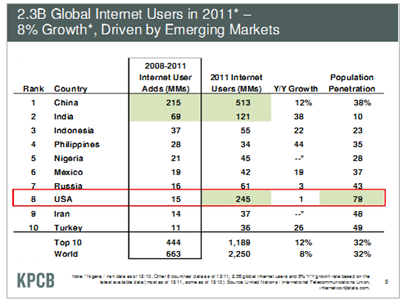 For example, web traffic from India increased by 51% between 2010/11 and is expected to increase by more than 69% in 2012 and Chinese web traffic grew by 28% between 2010 /2011 and is expected to increase by more than 12% this year. There are challenges related to being a international brand such as legalities, organizational and operational. 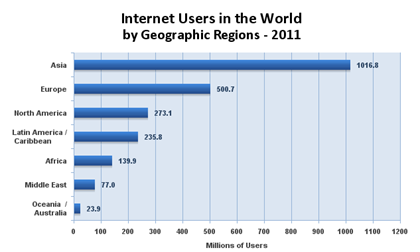 The web is global and e-commerce spending is only going to increase. Supporting buyers in their native languages to make them feel safe and secure will provide a better user experience and if you have an e-commerce store that is currently only availabile in English or your native language, expanding will directly increase your online sales.